*Aune, David E.: Revelation: 52A, 1-5; 52B, 6-16; 52C; 17-22. (Word Biblical Commentary, 3 vols.). Waco: Word; Nashville: Thomas Nelson, 1997; 1998 (Evangelical). *Beasley-Murray, G. R. Book of Revelation (New Century Bible Commentary), London: Oliphants; Grand Rapids: Eerdmans, 1974. *Caird, G.B. : The Revelation of St. John the Divine. (Black/Harper New Testament Commentary). London: Black; New York: Harper & Row, 1966,1984..
*Farrer, Austin: The Revelation of St. John the Divine. Oxford: Oxford Uni. Pr., 1964. *Ford, J. M. Revelation (Anchor Bible). Garden City: Doubleday, 1975. *Harrington, Wilfrid J., Revelation (Sacra Pagina). Collegeville: Liturgical, 1993. *Keener, Craig S.: Revelation : From Biblical Text to Contemporary Life. (The New International Version Application Commentary). Grand Rapids: Zondervan, 2000. *Kealy, Sean P., The Apocalypse of John. Wilmington, DE. : Michael Glazier, 1987. *Krodel, Gerhard A.: Revelation. (Augsburg Commentary on the New Testament). Minneapolis: Augsburg, 1989. *Michaels, J. Ramsey: Revelation (The IVP New Testament Commentary). Downers Grove: IVP, 1997. *Mills, Watson E., editor. General Epistles and Revelation (Mercer Commentary on the Bible, v.8). Macon: Mercer Uni. Pr., 2000. *Morris, Leon. Revelation (Tyndale New Testament Commentary). Leicester, England : IVP; Grand Rapids, Mich. : Eerdmans, 1987. (中文). *Mounce, Robert H.: Revelation. (New International Commentary New Testament). Grand Rapids: Eerdsmans, 1998. *The New Interpreter’s Bible: General articles & Introduction, Commentary, & reflections of the Bible, including the Apocrypha/Deuterocanonical books. v.12. Nashville: Abingdon, 1994. *Thompson, L. L. Revelation. (Abingdon New Testament Commentary). Nashville: Abingdon, 1998. *Walhout, Edwin. 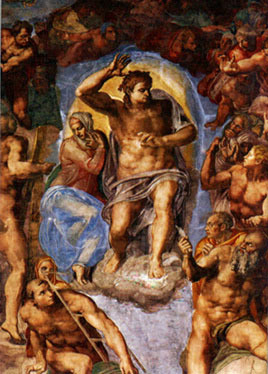 Revelation Down To Earth: Making Sense of the Apocalypse of John. Grand Rapids: Eerdmans, 2000. Collins, John J., Bernard McGinn, & Steven J. Stein, editor, The Encyclopedia of Apocalypticism: v.1 The Origins of Apocalpticism in Judaism and Christianity, v.2. Apocalpticism in Western History and Culture. v. 3. Apocalypticism in the Modern Period and the Contemporary. N.Y.: Continuum, 2004. Desrosiers, Gilbert. An Introduction to Revelation: A Pathway to Interpretation. New York; London: Continuum, 2000. Newport, Kenneth G.C. Apocalypse and Millennium. Cambridge, Cambridge, 2000. Schuessler-Fiorenza, Elisabeth. The Book of Revelation Justice and Judgment. Philadelphia: Fortress, 1985.Thompson, L.L. The Book of Revelation: Apocalypse and Empire. Oxford; New York: Oxford, 1990.